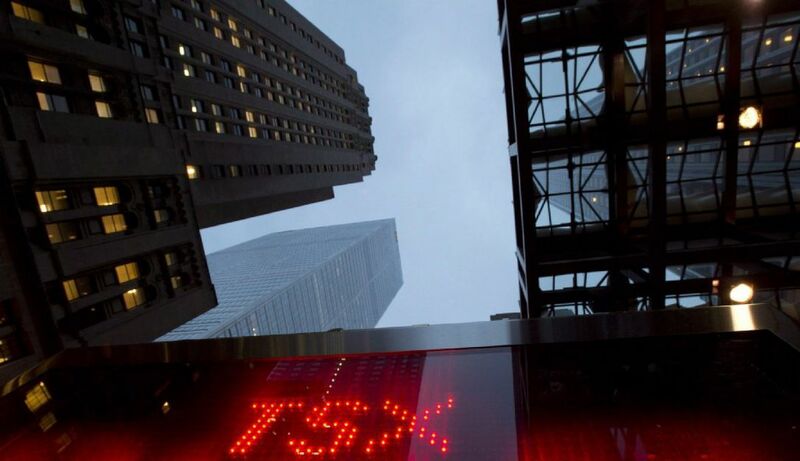 TORONTO - Canada’s main stock index hit a 2019 high Wednesday on renewed hopes of a trade deal between the world’s two largest economies and economic data that helped to allay fears of a pronounced global slowdown. The influential energy sector was the weakest on the day, losing 1.3 per cent, on a rise in U.S. oil stockpiles and record crude production in the latest week. Encana Corp. lost 4.7 per cent followed by Crescent Point Energy Corp. Meanwhile, the June gold contract was down 10 cents at US$1,295.30 an ounce and the May copper contract was up 4.3 cents at US$2.95 a pound. The Canadian dollar traded at an average of 75.05 cents US compared with an average of 74.94 cent US on Tuesday. Consumer discretionary shares improved the most on the TSX, helped by a 5.8-per-cent rise by HBC, followed by utilities, technology and financials. Financials rose following an increase in rates for 10-year bonds as investors moved from fixed income investments to equities. Until now, fixed income bond yields had fallen aggressively, lending support to fears about global growth. But signs of economic resilience in China and Europe is shifting bond interest rates higher in response.